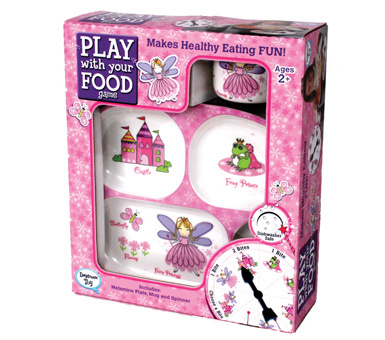 Bright, colorful and full of character, each Play with Your Food™ gift-boxed set includes a plate (a.k.a. game board), matching mug and game spinner. Get the festivities cooking by simply preparing a wholesome meal, serve and then let Play with Your Food™ handle the rest. The plate is divided into four different areas. 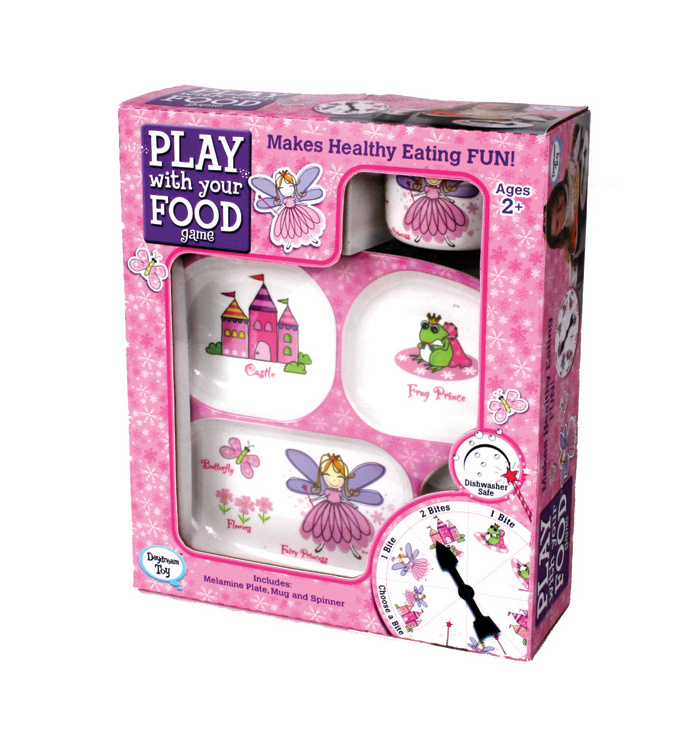 Just place one type of food in each section of the plate and unleash the fun. Each tot takes their turn spinning the dial and then eating from the designated section on the plate. Whether it's a bite of macaroni or a nibble of green beans, the spinner instructs kids what to eat next. Taste buds will always be on their toes as they'll never have the same meal twice. Once engaged in an entertaining meal, children won't notice that they are actually enjoying a healthy dining experience. Ages: 2+.